You’re invited to attend a one-day networking and learning event hosted and sponsored by MHEDA Member, East Penn Manufacturing in Lyon Station, Pennsylvania. This is a unique opportunity to network with others who live and work in the same area of the country. This Summit includes roundtable discussions and dynamic presentations on leadership and company culture. It also includes a continental breakfast, catered lunch, guided tour of the East Penn Campus covering over 4 million square feet of manufacturing operations, raffle prizes, and endless networking opportunities. Wednesday, October 24 from 9:30a.m.-4:00p.m. Space is limited – Register by October 15 to make sure you get a seat. East Penn – An American Success Story by Doug Bouquard, VP/General Manager of the Motive Power Division for East Penn Manufacturing History of East Penn from Humble Origin to Largest Industrial Battery Manufacturing Complex in the world. Manufacturing Capabilities and Facilities; Products, Markets and Customers Served; East Penn’s People and achievements. East Penn – A Cultural Success Story by Alison Snyder, Personnel Director/East Penn Mfg. Co., Inc.
“Culture” is a buzzword being used by many organizations today. But what is it and how do you define what your company’s culture is? Learn how East Penn Manufacturing documented their founding fathers’ American success story and molded it into an amazing, unique, and people oriented culture in a blue collar world. Acorn to Oak: Planting the leadership seeds of tomorrow, today at East Penn by Olivia Engleman, Director Mgt/Leadership Development. Become a part of the conversation as we explore East Penn Manufacturing’s Leadership Development journey. Follow as East Penn has grown its leaders from foundational roots with DeLight Breidegam Sr. to an organization today with over 10,000 employees. Listen as the talk focuses on the organization’s look toward the future, and how Succession Planning and developing team members has moved to the organization’s strategic forefront. Hear how East Penn links identified core leadership behaviors with a strong company culture and values, and is tackling leadership development in multiple ways. What will you discuss during the Roundtables? Attendees will discuss the challenges and opportunities that matter most to you and learn how others in the industry are managing the same issues. You will also be provided with the 2019 Material Business Trends developed by MHEDA’s Board of Directors. These trends are observations and insights that industry leaders have noted as critical material handling business trends. Summit attendees are invited to join us on October 23rd at the Bear Creek Mountain Resort to pack care kits for homeless youth in the Berks County area through United Way of Berks County. 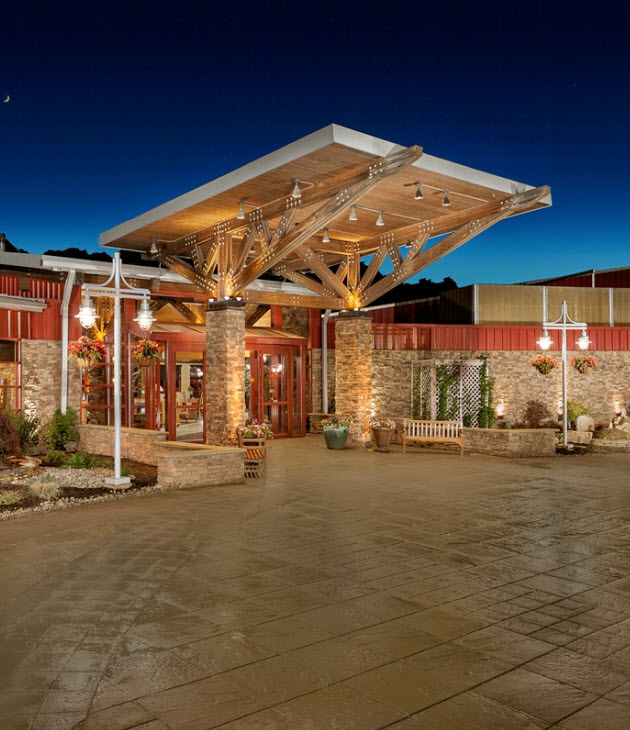 Following the Give Back Event, join your MHEDA friends for a networking reception at the Bear Creek Mountain Resort and enjoy appetizers, beer, wine, soda and have fun! Doug Bouquard is the Vice President/General Manager of the Motive Power Division for East Penn Manufacturing. He is currently responsible for overseeing the sales, marketing, and product support functions of East Penn’s Motive Power Division. Mr. Bouquard joined East Penn in 1996 with an extensive background and established reputation in sales management. Since joining the company, he has been actively involved in the oversight and continued success of East Penn’s Motive Power Division. He has served on the MHEDA board as a Manufacturing Board of Advisor representative and has recently been elected to MHI’s Advisory board. He also is a Member of Battery Council International and the Industrial Truck Association. Mr. Bouquard earned a bachelor’s degree in economics and history from the University of Buffalo in New York, and holds an MBA in management and accounting from Temple University in Philadelphia, PA.
Olivia Engleman, Director Management and Leadership Development joined East Penn Manufacturing in January 2018 with over 15 years of Learning and Development and HR generalist experience. Olivia’s focus at East Penn is on building leadership development processes; Identifying and diagnosing learning gaps and managing the resulting development for both the individual and organization’s effectiveness; Properly assessing the needs of the business and aligning those needs with workforce planning philosophies; Coaching and providing guidance to employees and leadership regarding talent management, leadership development, and organizational effectiveness. Olivia holds a Bachelor of Arts in Psychology with a concentration in Industrial Organizational Psychology from The Pennsylvania State University. Alison Snyder is the Personnel Director/East Penn Mfg. Co., Inc. Alison Snyder was employed by East Penn Mfg in 1987 and currently works as the Personnel Director. East Penn has been recognized with many awards including being voted one of Pennsylvania’s Best Places to Work for 16 of the past 17 years. She received a BA from Penn State University, an MBA from St. Joseph’s University and SPHR certification in 2002. Alison served on the CUE (An Organization for Positive Employee Relations) Board of Directors, served on the Berks County United Way Board of Directors (Governance Chairperson), and was President of ASTD (American Society for Training and Development), Berks County Chapter. Currently, Alison serves the on the Girls Scouts of Eastern PA Board, Penn State Advisory Council, Greater Berks Chamber of Commerce Women to Women Council and has volunteered for the Red Cross and Friend, Inc (winning the Executive Baker’s challenge in 2018). Alison was inducted in the Berks County Aquatic Hall of Fame, the Wilson School District Academic Hall of Fame and was recognized in 2017 as a Take the Lead honoree from the Girl Scouts. East Penn Manufacturing has reserved a block of rooms at the rate of $130.95 plus tax per night for the nights of October 23 & 24. Follow the instructions below to book rooms prior to October 8th to get the special MHEDA rate.